The field of architecture is filled with talented women. Yet the recognition, awards and plum projects still seem to be puzzlingly elusive. 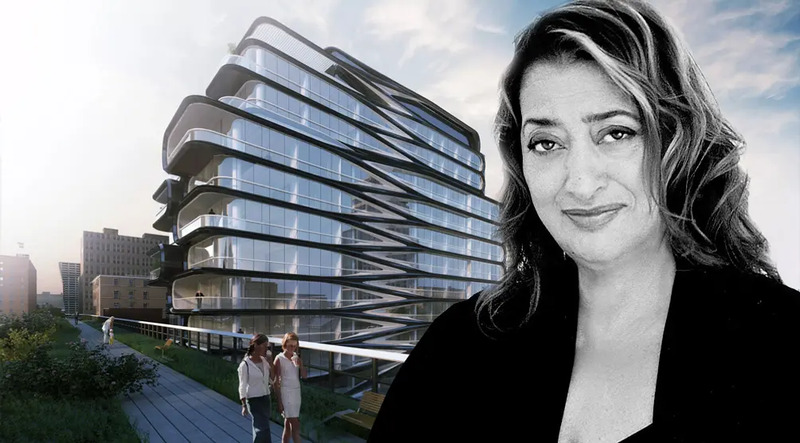 The Pritzker Architecture Prize, for example, has existed since 1979, yet it wasnt until 2004 that a woman (Zaha Hadid) received the prestigious award, and only two women have been selected for the prize overall (the other is Kazuyo Sejima of SANAA). Some of the city's most innovative residential projects were helmed by female architects, including less household-name team players like Nicole Dosso, a technical director at Skidmore, Owings & Merrill (the firm designed One World Trade Center and the Baccarat Hotel and Residences, among many other top buildings). Below are some standout residential buildings designed by women. A swirl of glass with a center vortex of intersecting black bands, this 11-story residential condominium is the first New York City building designed by Pritzker Prize-winner Zaha Hadid, the world’s best-known female architect. When completed in 2017, this 21st century icon, adjacent to Chelsea's High Line Park, will be more than just eye-catching; interiors were also designed by the architect, and the building will offer a full suite of curated amenities including a concierge, doorman, private IMAX theater and entertaining suite with events terrace, a wellness level with a 75-foot saline system skylit swimming pool, a fitness center, a private spa suite, automated robotic garage parking and storage vaults. Designed by New York City's other female starchitect, Annabelle Selldorf, this 19-story Chelsea condominium residence may be best known for its decadent en-suite "sky garage" that allows select residents to park their cars in elevator garages adjacent their units.The building's 16 expansive homes boast views of the Hudson River and the city skyline as well as high ceilings and impressive amenities that include a full-time attended lobby, a fitness center with a terrace and a landscaped roof deck. The award-winning 12-story Chelsea Modern, designed by Audrey Matlock, opened in 2009 with 47 units. Amenities include a full-time doorman, an outdoor lounge garden with a reflecting pool, a landscaped roof deck, and a fitness center with a steam room and showers. As with so many popular new Chelsea residential buildings, residents get to enjoy the High Line, Hudson River Park, Chelsea Piers and the endless collection of galleries, shops, restaurants and other destinations in every direction. 48 Bond is a new-to-the-block Noho construction designed by architect Deborah Burke. Rising 10 stories, inside one will find 17 luxurious condops measuring approximately 1,500-square-feet each, with two bedroom, two baths, 10-foot ceilings and wonderfully large floor-to-ceiling windows. Building amenities at this coveted residence include a 60-foot salt-water lap pool, fitness center, outdoor space and a part-time concierge. This jewel-case hotel is the work of Skidmore, Owings & Merril (SOM) and owes much of its engineering success to Nicole Dosso, SOM's technical group director, and an expert in the challenges associated with the design of tall buildings in dense urban contexts. The 50-story Baccarat Hotel consists of 59 ultra-luxe apartments that offer condo living complemented by the services and privileges of staying in a five-star hotel. The residence also enjoys an on-site Chevalier restaurant, the Baccarat Signature Bar and a 10,000-square-foot wellness and aqua center featuring the first spa by La Mer in the United States and a 55-foot pool. Plus the Museum of Modern Art is just right across the street! This undulating and architecturally significant structure was designed by Dutch architect Winka Dubbeldam. In this design, Dubbeldam created a multi-faceted glass and steel extension joined to the facade of an existing brick building. Her innovative idea marries the old with the new in a way that pays respect to the building's and neighborhood's architectural past and its new life as a modern residence. Inside, 497 Greenwich Street offers to its 24 unit owners a duplexed guest suite, a wine cellar, a fitness center, two saunas, an "endless" swimming pool, a theater/ screening room and 24-hour concierge services. Contributing Writer Michelle Cohen Michelle is a New York-based writer and content strategist who has worked extensively with lifestyle brands like Seventeen, Country Living, Harper's Bazaar and iVillage. 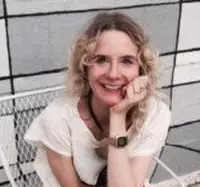 In addition to being a copywriter for a digital media agency she writes about culture, New York City neighborhoods, real estate, style, design and technology among other topics. She has lived in a number of major US cities on both coasts and in between and loves all things relating to urbanism and culture.